Compassion started working in the Philippines in 1972. Today, there are over 85,000 children registered in our programs through 349 church partners. Dear Sponsor, I am Noel Pabiona, and I have been the Compassion Philippines Country Director for 13 years now. I am a proud father of two boys, Nathan and TJ. Just like me, both my sons love sports, having fun and ministering to little children and the poor. My boys constantly remind me to be a patient and responsible father, which in turn, reminds me of my heavenly Father’s love and amazing patience for me. 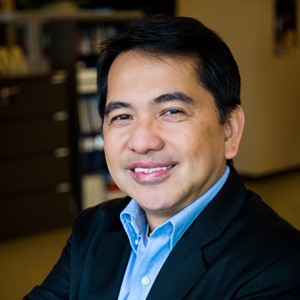 I am Noel Pabiona, and I have been the Compassion Philippines Country Director for 13 years now. I am a proud father of two boys, Nathan and TJ. Just like me, both my sons love sports, having fun and ministering to little children and the poor. My boys constantly remind me to be a patient and responsible father, which in turn, reminds me of my heavenly Father’s love and amazing patience for me. Compassion has worked in the Philippines for more than 45 years. Today, we have 349 projects reaching out to around 85,000 children across the islands. Our country is made up of 7,100 islands and this can be a challenge in traveling. Yet, whenever I have time and reason, I visit our projects to meet as many children as I can. I have personally talked with many of the sponsored children and their families, and seen how sponsorship truly works. I have met several Compassion-sponsored teens who tell me that if not for their sponsorship, they would most probably be like many of the unsponsored teenagers in their community: unschooled, drug dependent or pregnant, without hope. Our teens study hard, contribute to society and are respectful to their parents. 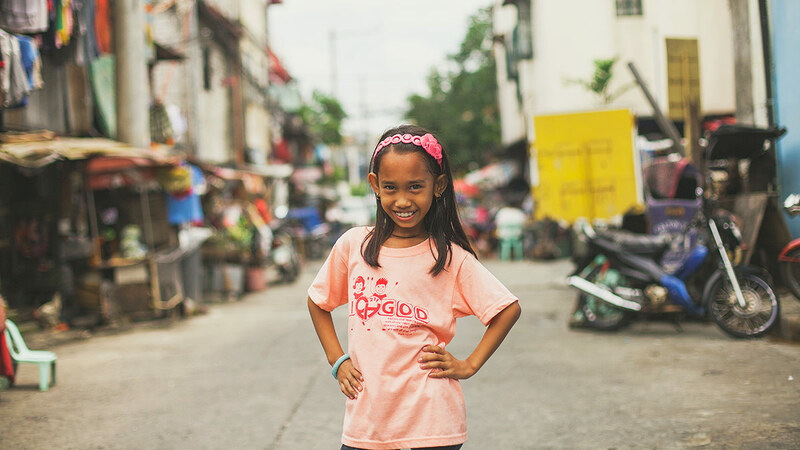 Thanks to you, thousands of Filipino children now know God, live responsible lives and have hope for the future. 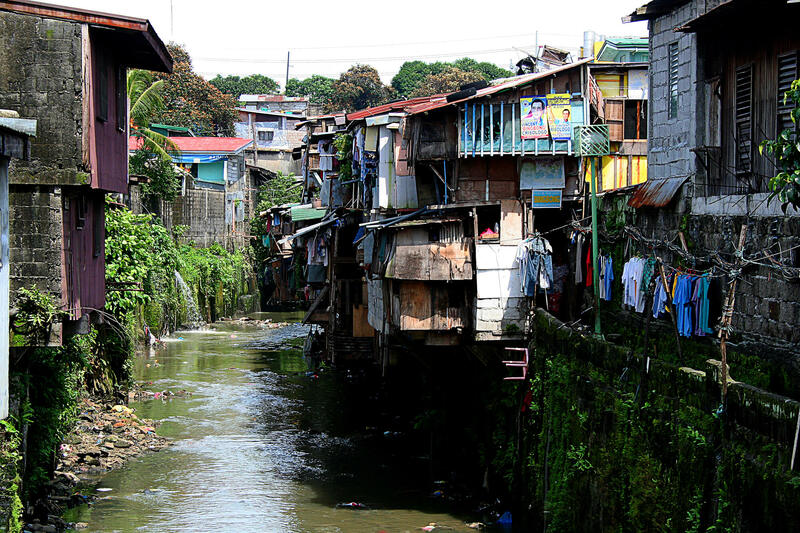 I am living here in the Philippines—the nearest projects are just 10 minutes away by car—and there is truth when I say that your sponsorship works. I can see it personally. Although public education is free, not all Filipino families send their children to school. A handful would rather have their children work so they could earn even a little for their families, even if it meant working in harmful conditions such as scavenging, quarrying and fishing. Some parents are also too lazy to play the role of mentors to their own children, and so do not encourage their children to study or do well in life. My vision is to reach out to even more children. Eighty-one thousand seems to be a large number, but this is insignificant compared to our country’s total population of 102 million, where 12 million are still living in extreme poverty. In 2017, my focus is on giving every registered child the chance to be a disciple in the way of our Saviour. This, I believe, is what makes Compassion stand out. Not only do we give children hope, we also give them a chance to find eternal hope in Jesus; not only do we equip them for life, we also challenge them to give back and touch the lives of others. Our church partners are doing a remarkable job in ministering to the children. Most of our partners serve the children beyond what is required in Compassion’s program. The need and vulnerability of the children compel them to do so. They reach out to the families and communities, and often initiate community development projects to support the local government. In most cases, our churches are more equipped, reliable and successful in their initiatives than the local government. Finally, I would like to let you know that each letter you send to your sponsored child is not just a piece of paper. It is a reminder that the children are important, that they matter because they are loved. I have not met a child who didn’t value the letters from their sponsor. They all keep the letters in special boxes and most read them over and over. As Compassion’s country director in the Philippines, I regard the sponsored children as my own and I know you do, too. So, with God’s grace, let us continue to work, pray and hope together for our children to be released from poverty and someday become responsible and fulfilled adults. Sandy beaches and smiling faces: the Philippines is known for its beauty and hospitality. But it’s also home to millions living in poverty and on the streets. See how your support, Compassion and local churches are together making a difference. 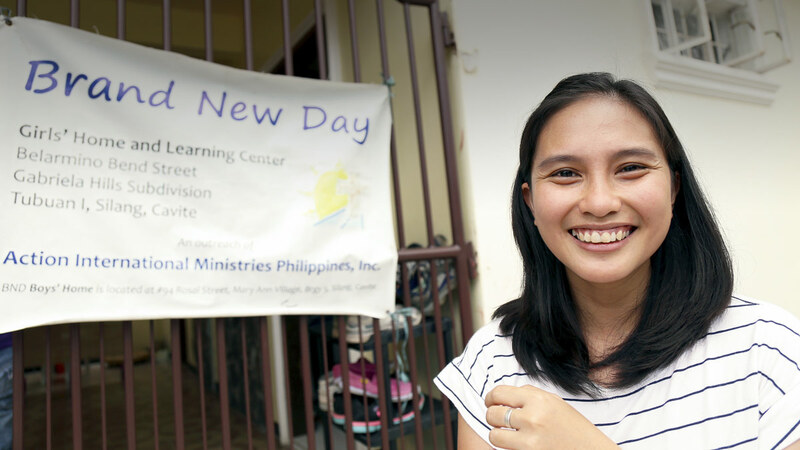 April Joy Aquino set out on a lifelong journey to serve the poor ever since her mother told her to be helpful. Despite losing their livelihood when a fire destroyed the public market in 1996, April’s mother (Nanay) did not stop telling her to give to people who were in worse living conditions. When she was six years old, April was registered at PH-818, Dorea Child Development Centre, a ministry of Temple Baptist Church. She grew up a skinny and sickly little girl in the impoverished town of Kabankalan in Negros province. But with Compassion’s help and her mother’s encouragement, April finished high school and went on to college. Today, April is the only licensed social worker at Brand New Day, a faith-based, non-governmental organisation that reaches out to street children, abused children and abused women. Please pray for PH319 (Pagsangahan Baptist Church). In April, the church leadership had a retreat and needed to cross the sea via boat to get there. Unfortunately, due to Typhoon Crising, one of the boats wrecked, causing the death of two people, while three went missing. Please pray for comfort and provision for the church and the family in this time of tragedy. Please pray for the families affected by fire in Iloilo. Several months ago, at about midnight one night, a spark occurred in the meter on an electric post and melted the wire insulator. It dropped burning material onto the nipa roof of one house, which cause a fire outbreak in the neighbourhood—bringing down to ashes about 56 houses, including five houses that belong to six registered children. Please pray that God will provide for their needs. May God comfort and strengthen them in this time of crisis. Please pray for Asher, a five-year-old registered child, who was recently diagnosed with Hansen’s Disease. Please pray for God’s healing to be upon him, and strength and encouragement for his family as they face many months of treatment. Please pray for John Michael, a Compassion assisted child, who is presently confined in a hospital. He has brain tumour and he can’t be operated on because of severe malnutrition. Pray that he will gain back his weight and that his infection will be controlled. Pray that the pressure in his cranium/head will normalise and for his healing. 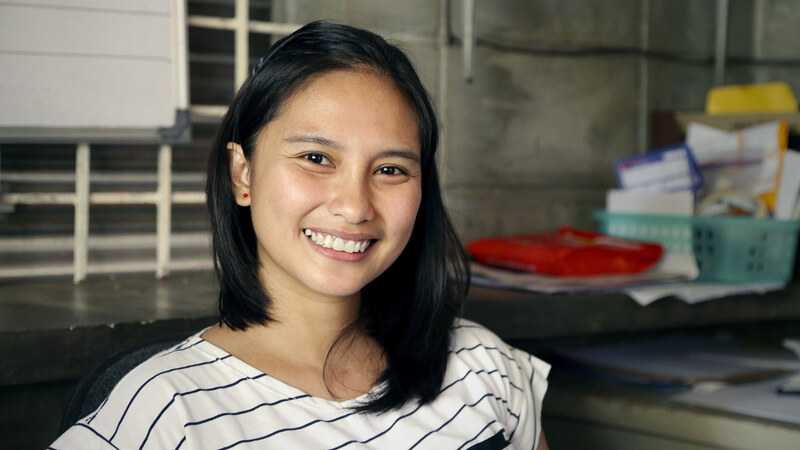 When Angelyn’s family fell apart, they were destitute. The weight of responsibility fell on her young shoulders, but, despite her troubled circumstances, Angelyn knows she is not alone. She has hope in Jesus Christ, and her hope shines bright in the dark places. In June, Sally Everingham travelled to the Philippines to meet her sponsored children for the first time. In a trip full of joyful, exciting, and confronting experiences, she shares the 10 moments that will stay with her forever.